Interview with Emma Osborn, Gungahlin. Describe your typical day living with cystic fibrosis. Long, but not long enough! In addition to having cystic fibrosis, I’m a wife, a mother, a daughter, a friend and an employee. My husband and I both work and my son, Elias (who just turned 3) is in daycare four days a week. My typical day starts early. I get myself ready for work, and Elias ready for daycare. I take my tablets and do a breathing treatment. I drop Elias off at daycare and drive to work. I park 15 minutes away not just to save money, but to try squeeze exercise into my day, which is very important for people with cystic fibrosis. Throughout the day, I need to be careful with what I eat, consuming enough calories to maintain my weight, but also to control my blood sugars (another complication of a cystic fibrosis related diabetes). After work, I jump straight into cooking dinner then the toddler bedtime routine and some bonding time. Like many 3 year olds, sleep isn’t high on Elias’ priority list, so he’s not usually asleep until 9pm. It’s common that I fall asleep while putting him to bed. then have trouble getting back to sleep. Oh, and somewhere in there I try to squeeze in some time with my husband, cleaning and all the other things all adults also contend with! The life of a CF spouse also isn’t easy! 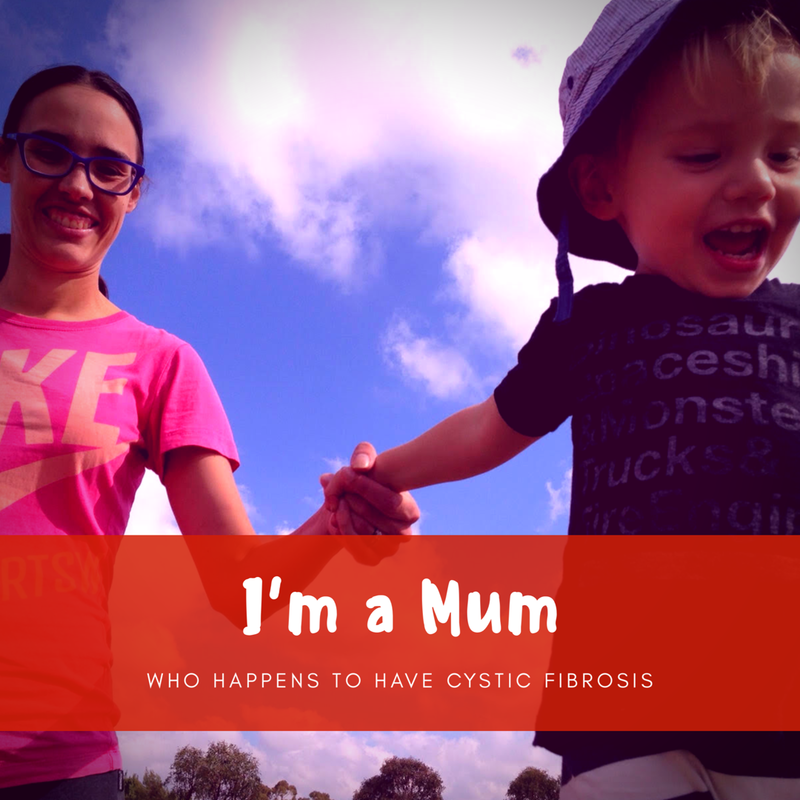 What impact do you think being a mum has had on your cystic fibrosis or how you manage it? It’s quite a conundrum that, as a parent, you have an insatiable desire to take care of yourself so that you’ll be around for as long as possible for your kids — however, you have so little time to do so. So, I will say, I just do what I have to do. As much as possible I try to balance my own needs with my son’s needs, and the needs of everyone else around me. It’s hard, but I have no choice but to keep trucking on. What difference does CFACT make to your family? CFACT tailors their support to each person’s needs, which is a lifesaver as CF affects everyone differently. Personally, CFACT provides financial assistance mainly in the form of reimbursement for my prescription high calorie shakes ($100 for a month’s supply! ), replacement nebulisers and spare parts (also not cheap), and specialised airway clearance devices. In addition, they provide information, provider recommendations and emotional support which is invaluable. We need your support to help local families with cystic fibrosis. So come on down to Canberra’s Southern Cross Yacht Club from 10am. 10% of takings at the club on the day will also be donated to Cystic Fibrosis ACT!